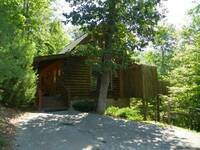 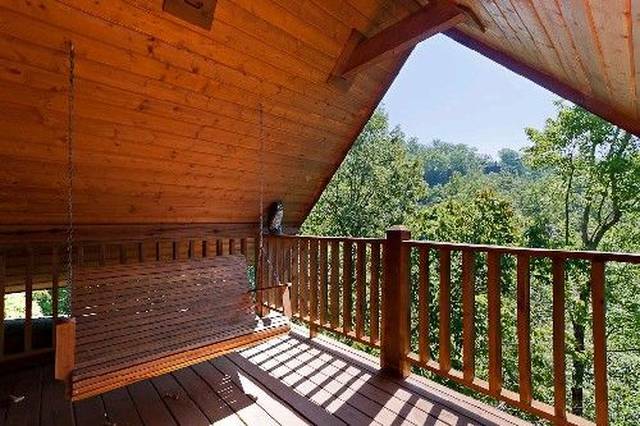 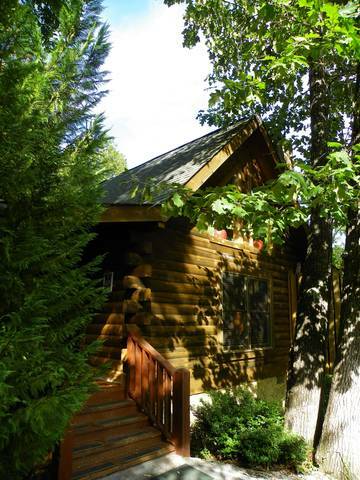 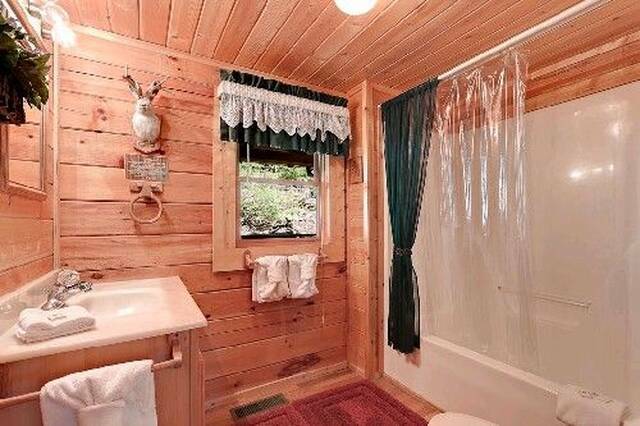 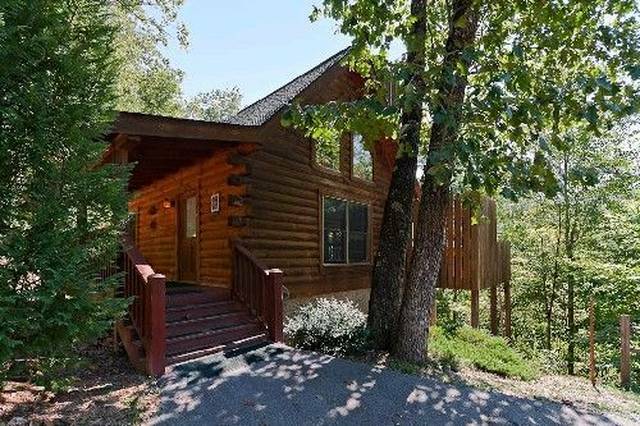 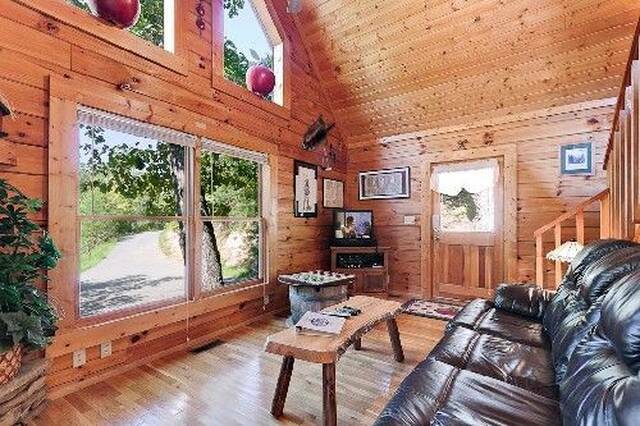 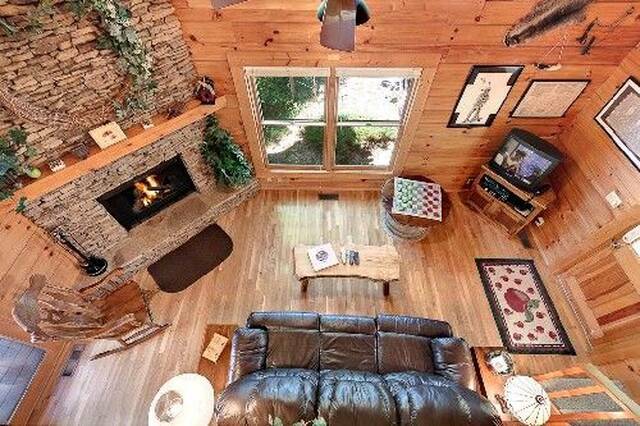 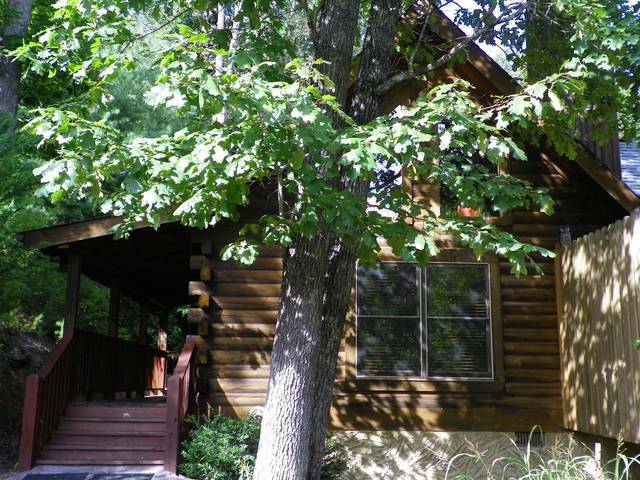 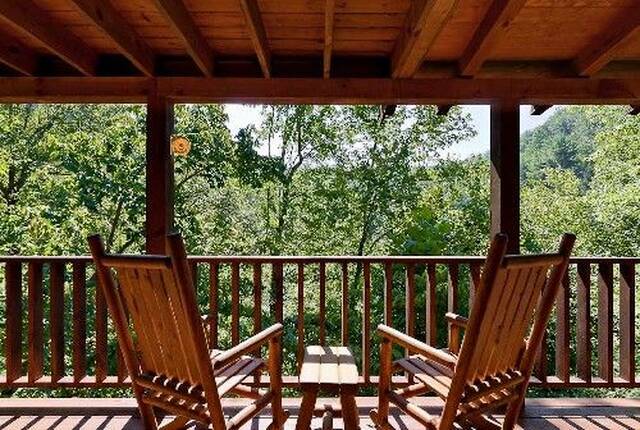 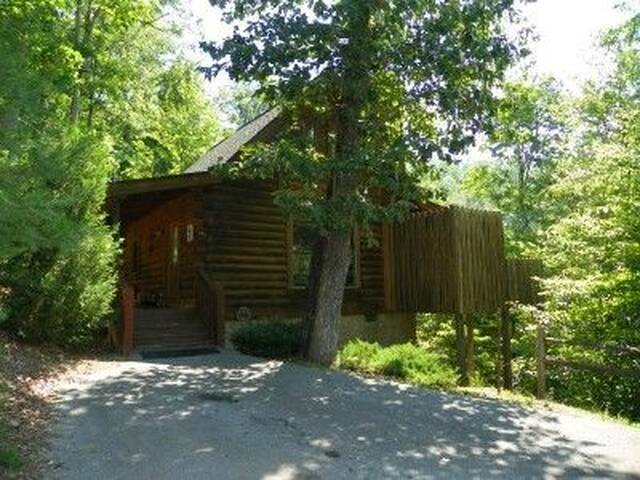 Play a song for me, Apple Jack, Apple Jack.....is the inspiration from Dolly Parton's hit record and is the perfect name for this charming private cabin located minutes from the main parkway in Pigeon Forge. 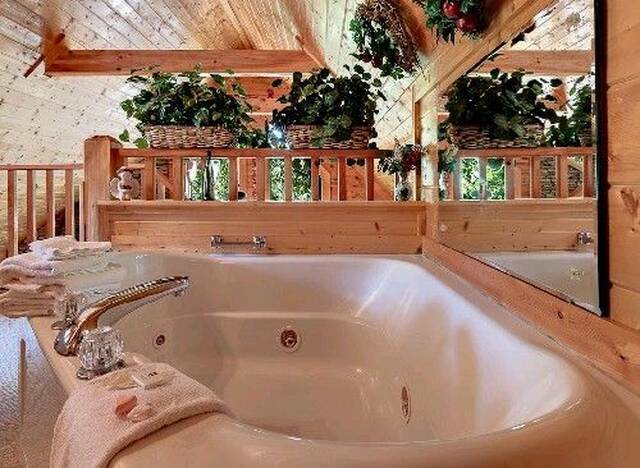 Enjoy nature from your loft bedroom vaulted windows as you relax in your custom King log bed or perhaps a soothing jacuzzi bath. 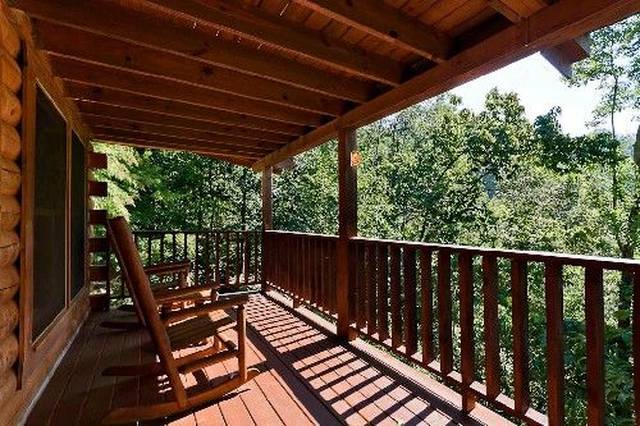 Your upstairs covered deck is the perfect retreat to enjoy quiet tranquil moments from the porch swing. 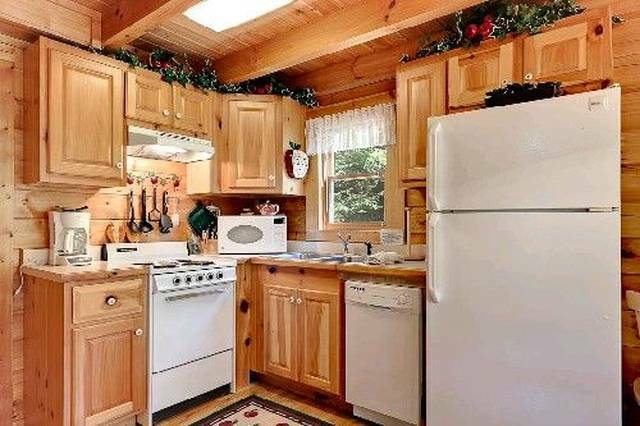 Downstairs you have a fully furnished kitchen, living area with sleeper, wood burning fireplace and separate full bath. 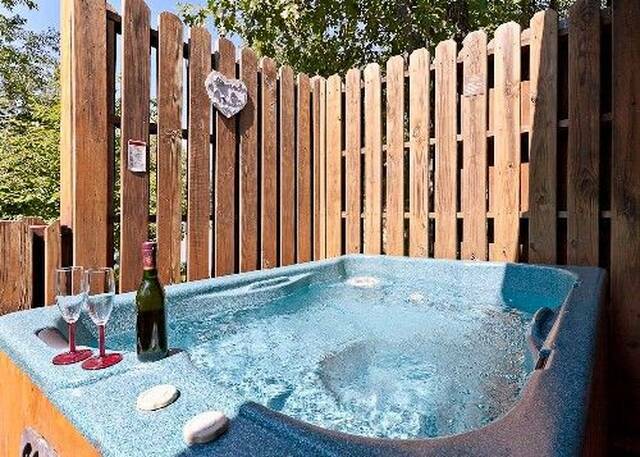 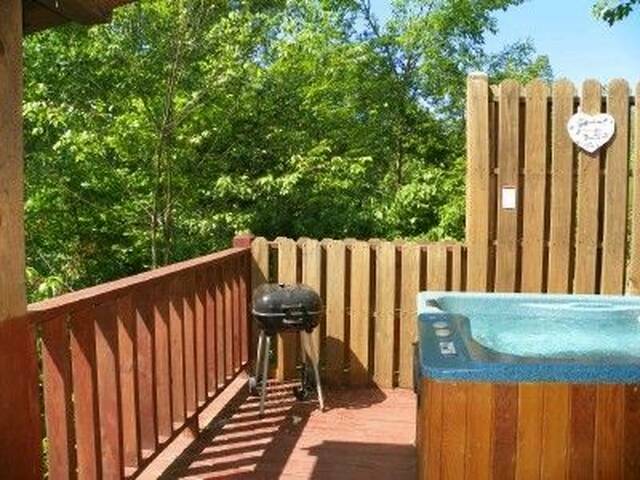 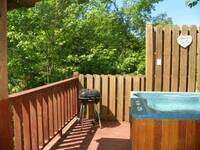 Retreat to the back covered porch with rockers or enjoy a relaxing hot tub massage. 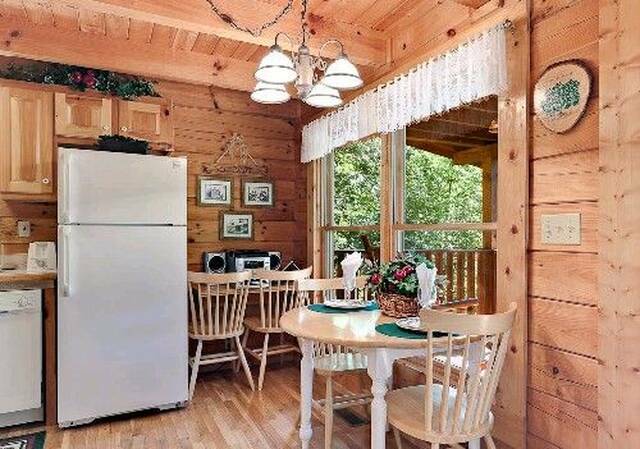 For those guest who can't leave work behind, Apple Jack features high speed internet and Free unlimited long distance phone service to the US and Canada. 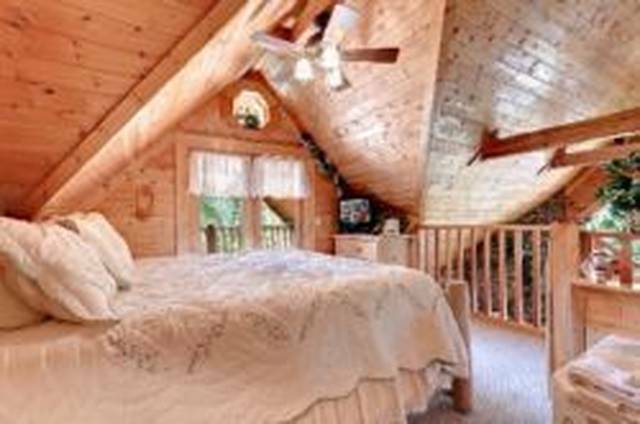 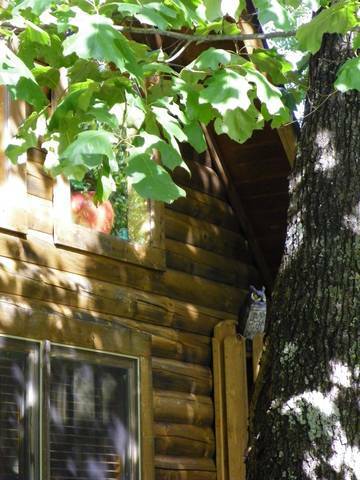 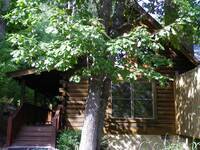 Apple Jack is the perfect honeymoon cabin in Pigeon Forge or great for families with small children.